Paul Monroe was a pioneering leader of international and comparative education. His greatest contribution to comparative education came from his leadership of the International Institute of Teachers College during 1923-1938, where he led and practiced the teaching and research on comparative education with dynamic international outreach and engagement in investigation of educational systems and conditions of many countries. 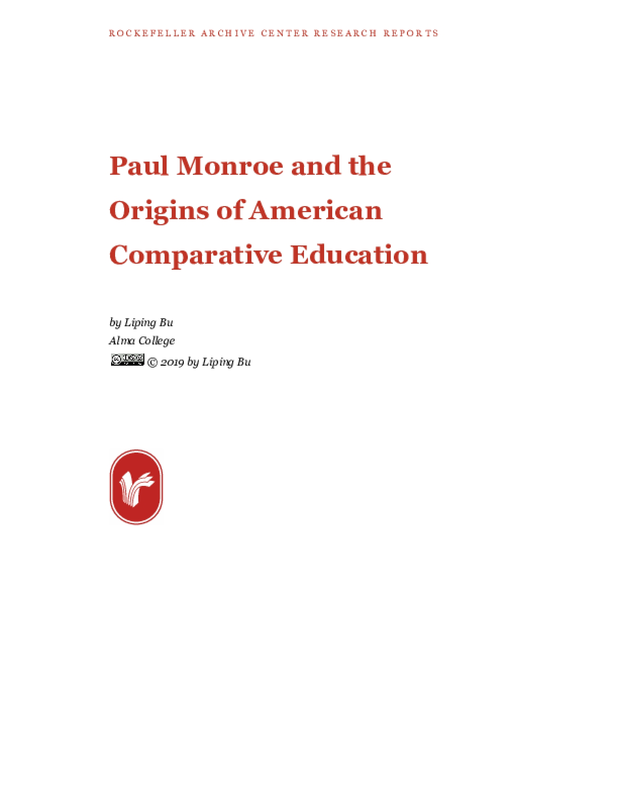 Monroe played a key role in shaping the development of comparative education as an academic field during its formative years. He and his colleagues trained the first generation of comparative educators in North America and elsewhere. Paul Monroe was also significantly involved in the modernization of education in countries of Asia and the Middle East, when the influence of the United States expanded in these regions primarily via the work of private institutions in the first half of the 20th century.